A collection of your child's all favorite nursery rhymes and folk songs for children. These traditional rhymes also referred as Mother Goose rhymes are beyond the entertainment and contribute to developing language and early literacy skills. 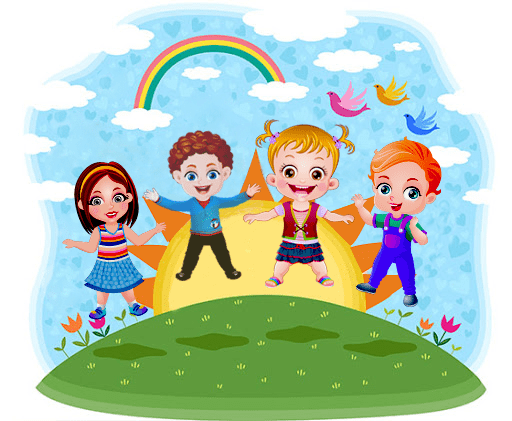 Find lyrics to 1000+ best-known kids' songs and baby songs that are listed in nursery rhymes list. Learning printable lyrics to the poems and children's songs will be fun and engaging as our beautifully animated videos keep them contented and happy. Moreover, these preschool songs and rhymes are not the only source of entertainment but also contributes to developing language and early literacy skills and adding words to children's vocabulary. Enjoys hours of entertainment watching an awesome collection of nursery rhymes YouTube videos! "Johny Johny Yes Papa" is a simple and sweet nursery rhyme, featuring a little boy, named Johny. It is kid's favorite song, which is sung in preschools and schools all over the world. The rhyme is brimming with a moral lesson that the children should not lie to their parents and be a honest human being. 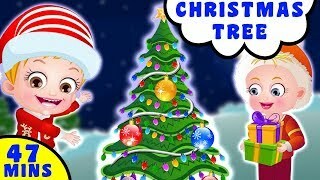 Find the videos of best traditional poems and mother goose rhymes for babies, kids, toddlers and children. Little ones will love to watch the mesmerizing videos and learn lyrics to their favorite poems and kids' songs in an entertaining way. NurseryRhymes.com is a free site offering lyrics and music to hundreds of popular nursery rhymes that have been passed down through the ages. Use our site to keep kids entertained, find lyrics to a nursery rhyme that you can't remember, or bring you back to a happy time when you were a child. A nursery rhyme is a traditional rhyme or children's song in the English-speaking world. The term nursery rhymes are often referred as Mother Goose nursery rhymes. Most of the rhymes and poems date back to seventeenth and eighteenth centuries. Thomas Carnan had introduced the term Mother Goose for nursery rhymes when he published a collection of English poems, Mother Goose's Melody, or, Sonnets for the Cradle in 1780. The oldest recorded kids' songs and rhymes were originally the lullabies or cradle songs which were intended to lull the little babies to sleep. The term lullaby is believed to be derived from the words, “la, la” or “lu, lu”. These were the sounds made by nannies and mothers to keep the child quiet and calm. And the term “bye bye” or “by by” is thought to be another lulling sound or is used to wish good night. Earlier the lullabies were recorded incidentally in the written form. Several medieval English verses which were related to the birth of Jesus took a form of cradle songs. A French rhyme was recorded in the 13th century, which was very similar to “Thirty days hath September”. Short rhyming songs for children from the later Middle Ages were recorded as apostils. Later, in the mid 16th century, the rhymes were recorded in English plays. Th oldest surviving English poem is “Pat-a-cake, pat-a-cake, baker's man”. Most of the nursery rhymes were not recorded in a written form until the 18th century. It has been argued that most of the nursery rhymes have hidden meanings and origins. Katherine Elwes has associated the rhymes with real people or historical events in her book, 'The Real Personages of Mother Goose' which was published in 1930. Research has conclusively shown that rhyme enhances the spatial reasoning ability of a child, which aid mathematics skills. It also plays a vital role in developing kid's language and literacy skills.